For those Minecraft fans, there is a good news. 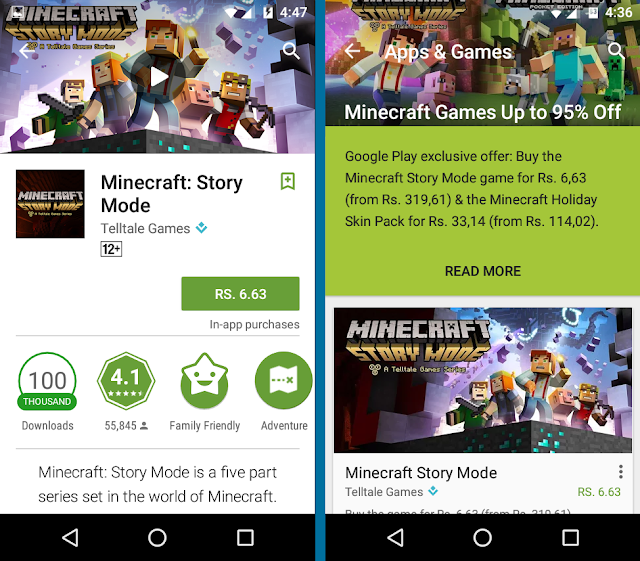 Just wondering to download a game, I visited the Google Play Store and there I saw a banner saying 95% on Minecraft: Story Mode. I am talking about India. 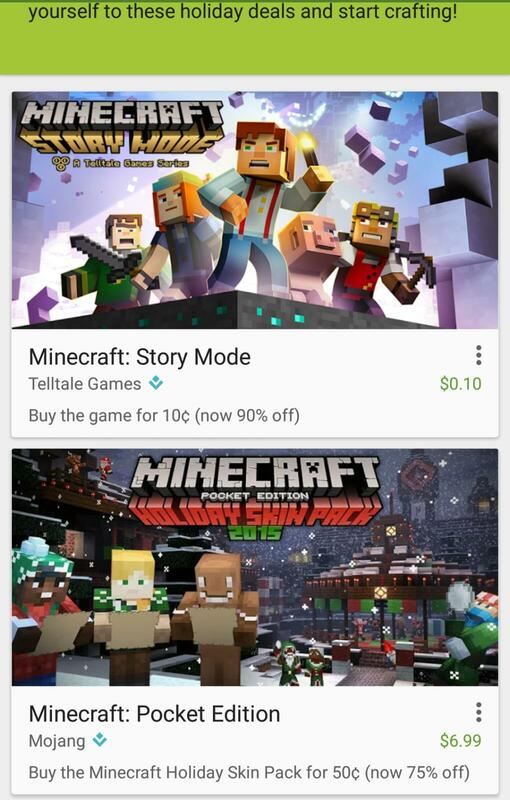 2015 is going to get over and here we have deals from Play Store. The game was priced for INR 319.61 and is now available for INR 6.63, till this article was written. As well as the Minecraft Holiday Skin Pack for INR 33.14 from INR 114.02 . Update: In US there is 90% off going, Minecraft Story Mode is available for $0.10 . So are you guys ready with your fingers, comment Indian readers and any other person see Deals in Google Play Store tag us in Twitter and Facebook @asknext1 .